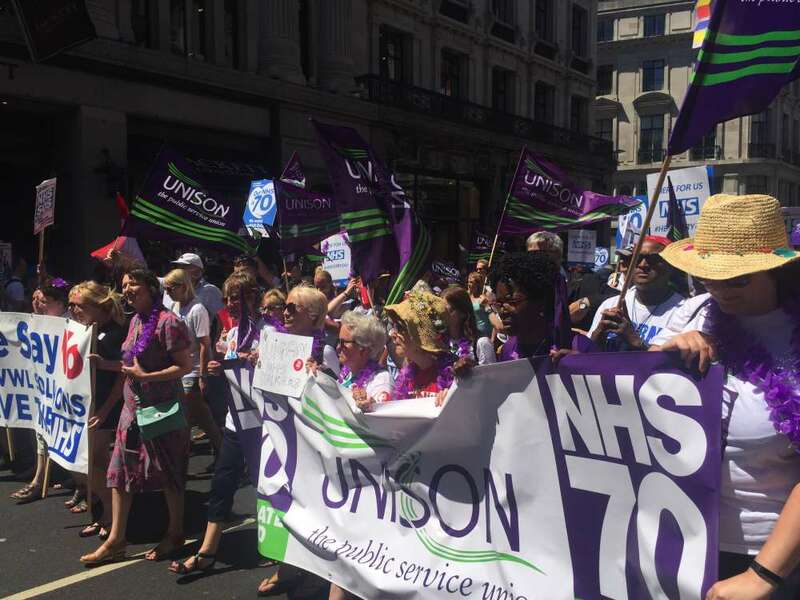 This Saturday thousands of people marched through central London to celebrate the 70th birthday of the NHS, and show that they’re willing to fight for it. This is how the day went down. 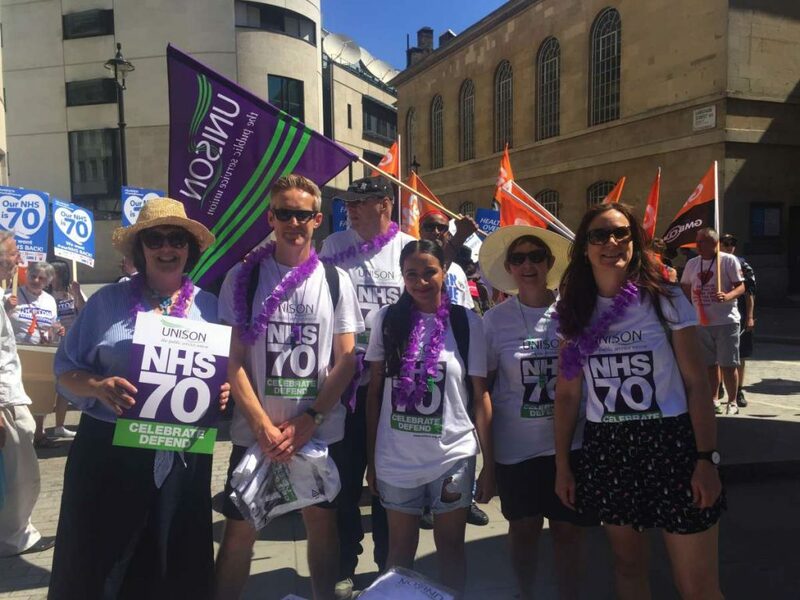 It was a bright and early start for the UNISON staff members, who arrived with boxes of placards, flags, purple Hawaiian leis, and birthday cakes for the NHS. 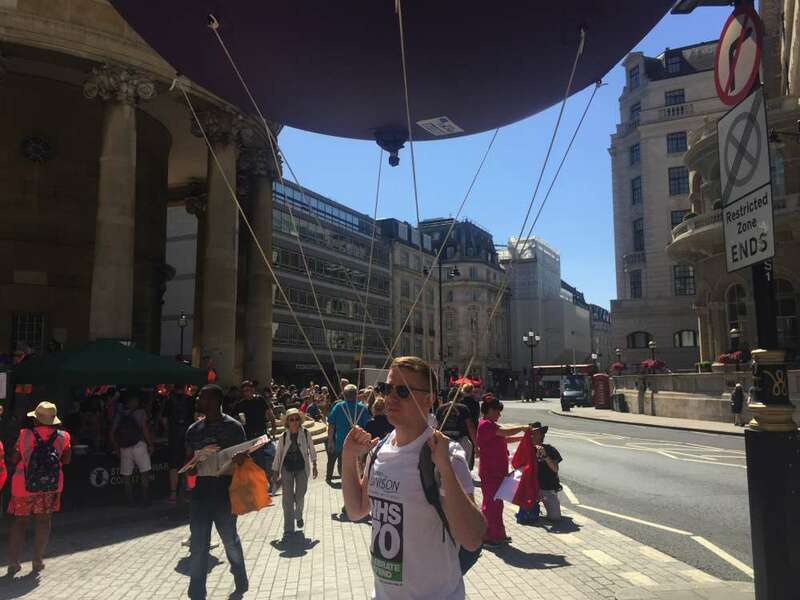 We strapped some young men to purple balloons, to make sure all UNISON members knew where to find the UNISON contingent. They were pleased about it really. 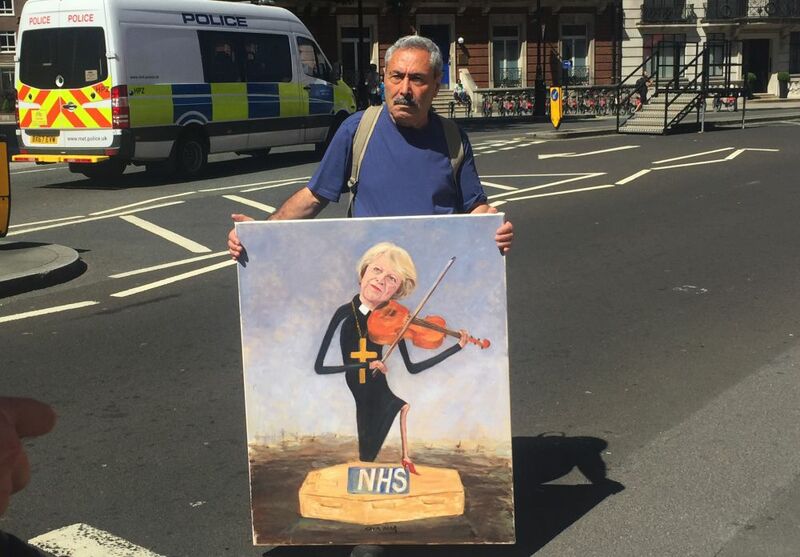 A staff member demonstrated how to hold placards. 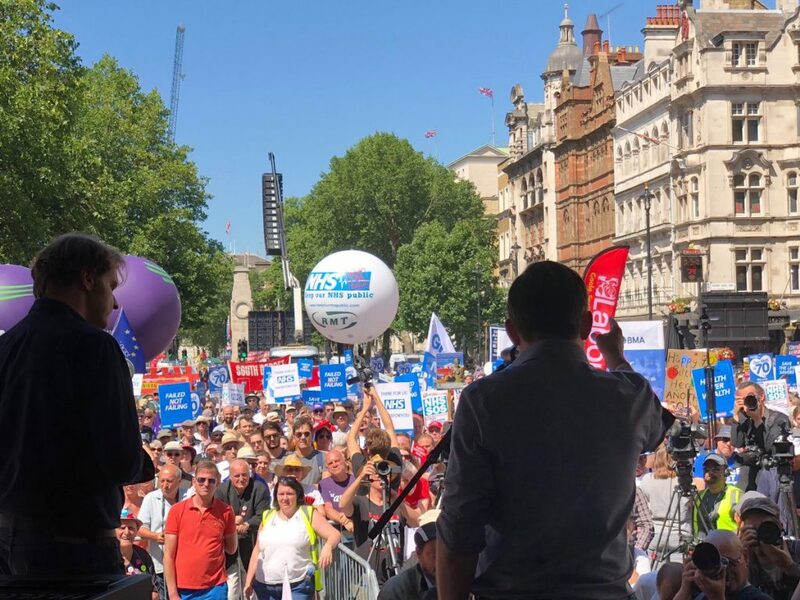 That is some top-notch placard holding right there. He’s available to hire. Though when it comes to placards, this creative young man definitely put more effort into his. The sun was out and people began arriving. 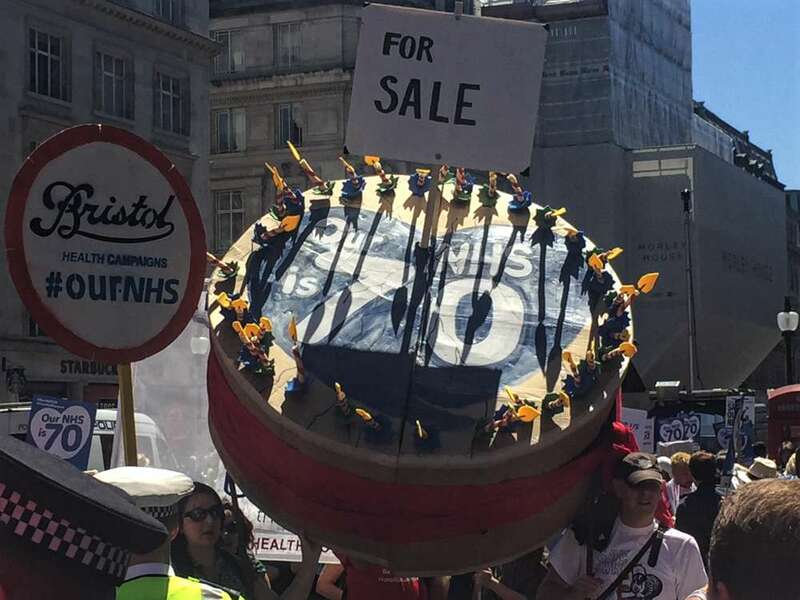 A huge cake for the NHS was paraded (not edible, like ours though). 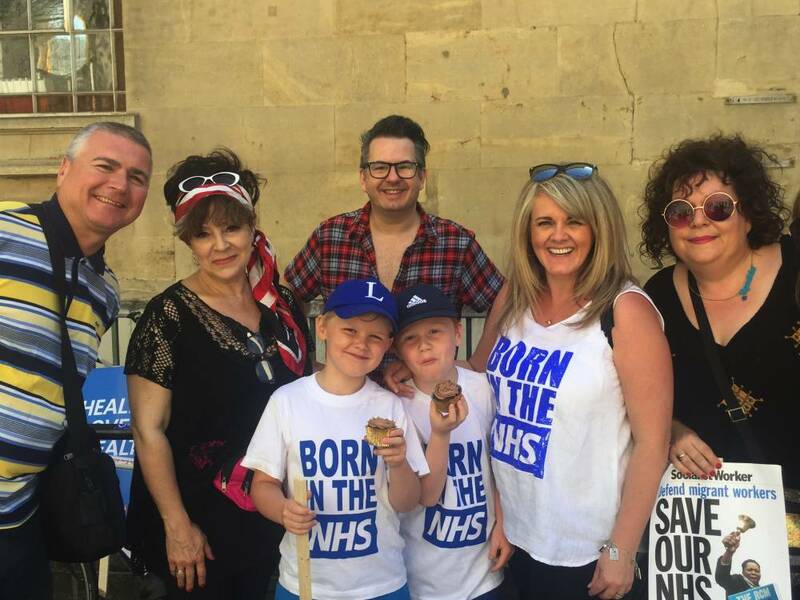 Famous celeb women Sally Lindsay and Harriet Thorpe were there to show their appreciation for the NHS. 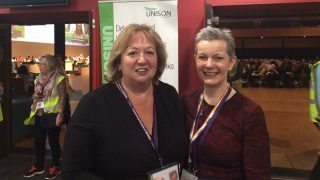 Sally Lindsay’s twin sons enjoyed some of the UNISON cup cakes (the only people who did). 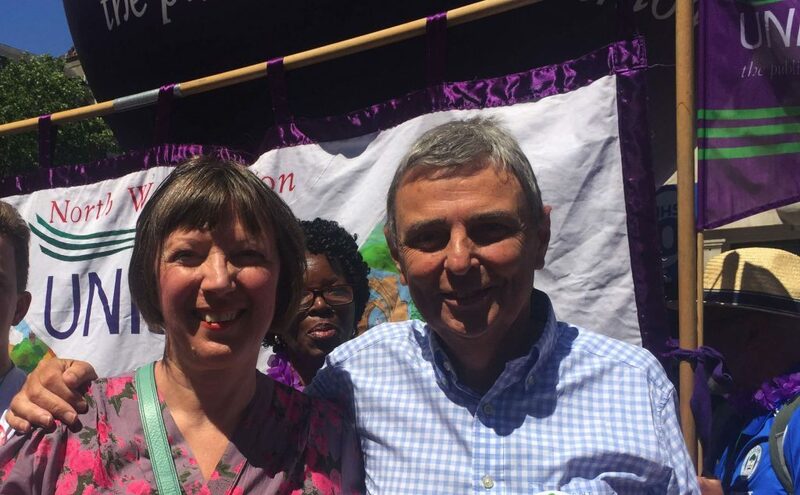 UNISON general secretary Dave Prentis and the Frances O’Grady, general secretary, of the TUC were there. 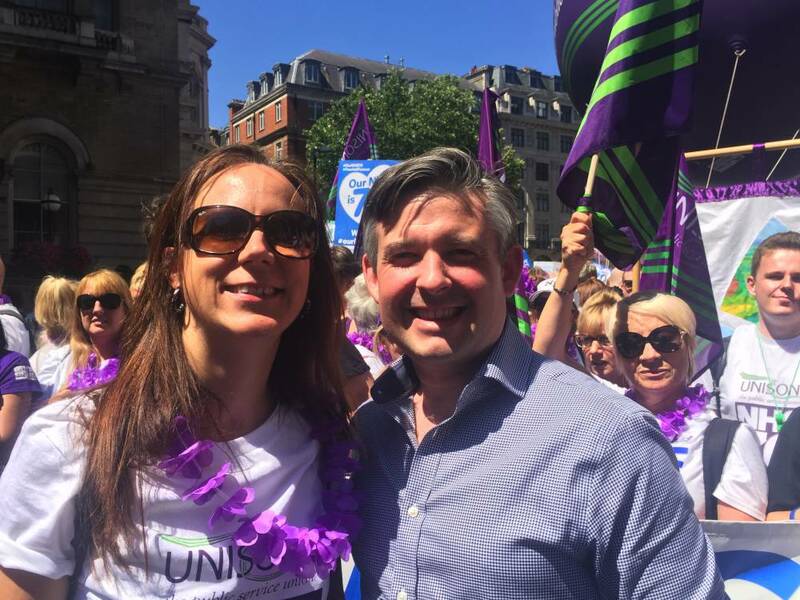 UNISON’s head of health Sara Gorton and Jon Ashworth MP, Shadow Secretary of State for Health and Social Care, were there too. 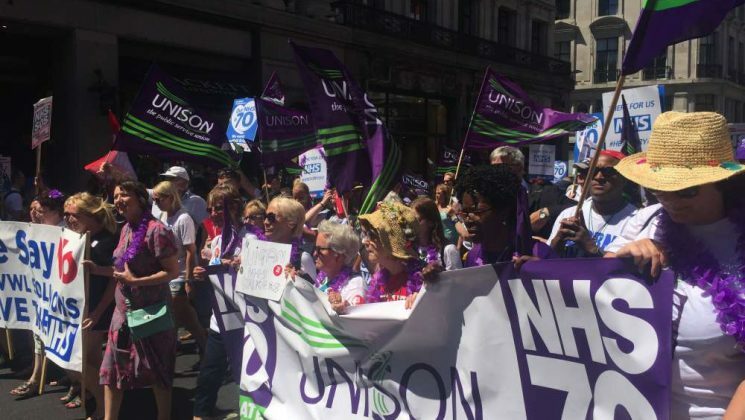 UNISON members led the march with much shouting and celebration. 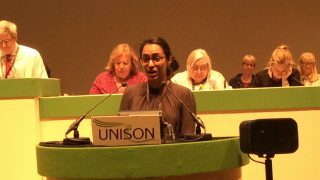 Members from Wigan – who are currently on strike – were especially vocal. 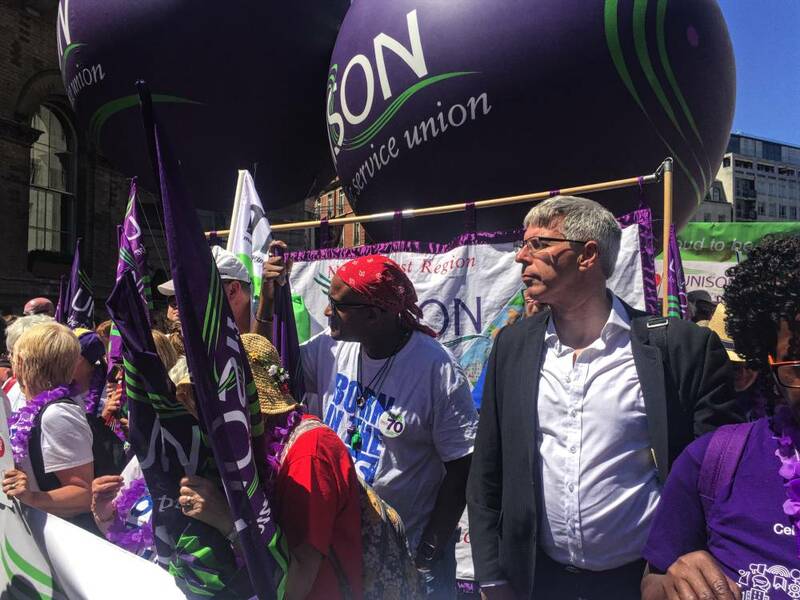 UNISON President Gordon McKay was there looking dapper, as ever. 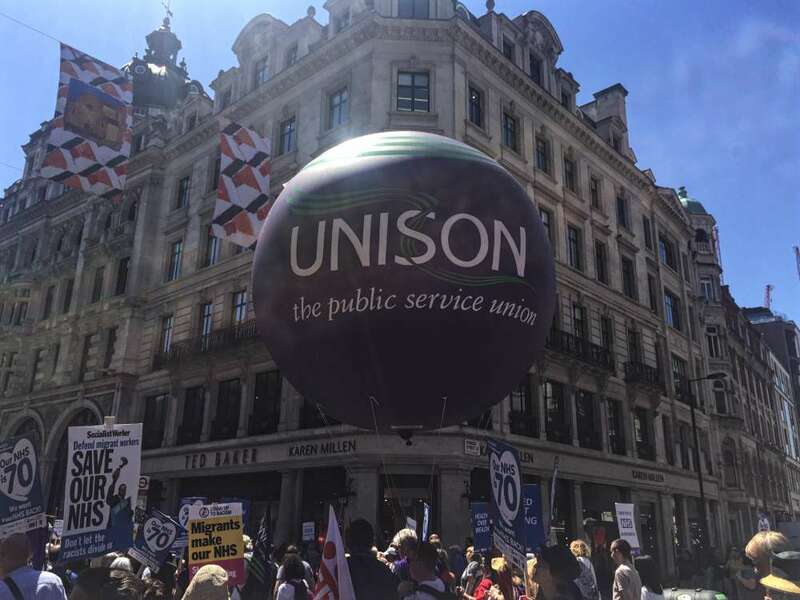 And the march ended with some rousing speeches from celebs, politicians and trade unionists, including Jon Ashworth MP, Jeremy Corbyn, Gordon McKay, Ralph Little and more. 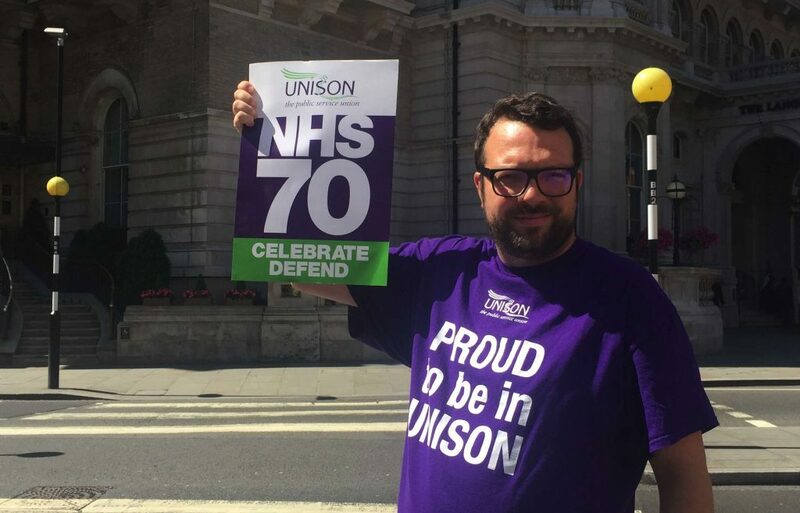 Happy 70th birthday NHS! Here’s to the next 70. Birthdays are special. 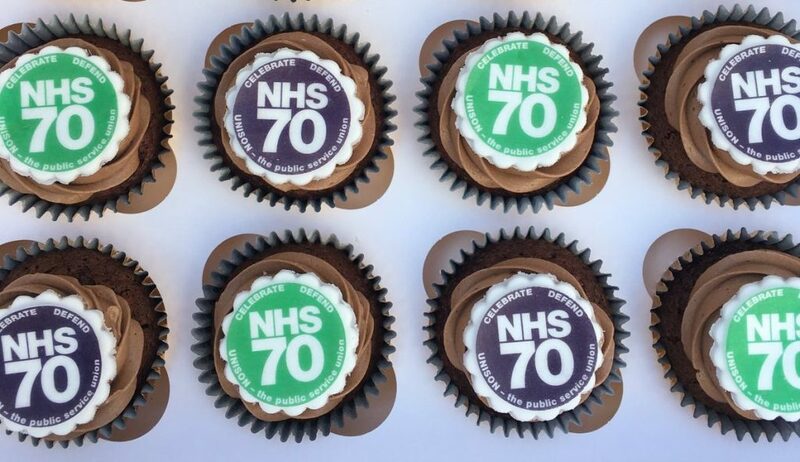 This year the NHS is 70 years old and we think that’s something worth celebrating. 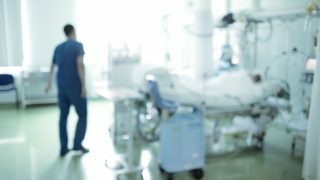 But it’s also important to defend and protect what we love about the NHS.